Frankie Ashford is running away from her own wedding. After getting an earful from her Grandmother she heads to the airport still wearing her dress and tiara and pulling the suitcase she was meant to take on her honeymoon. She doesn’t have a plan on where she is going, she just knows that she has to get far away. Sitting drinking a brew she pulls out the postcard she has been carrying around with her for years, a postcard from her mum who she hasn’t seen since she was just a baby. She doesn’t know whether her mum will still be at the same address, but she decides to find out and heads to the destination on the card, Norway. 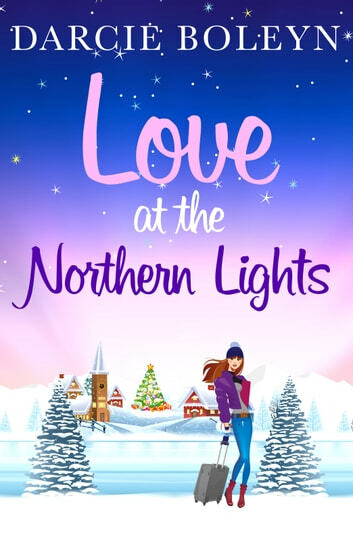 Once in Oslo, Noway she sets out to find her mum and comes across gorgeous Jonas on her quest. What will the future hold for Frankie and her mum Freya? Only time will tell. 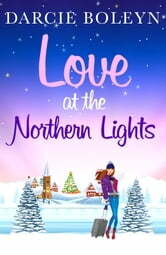 Love at the Northern Lights is a gorgeous book, it is filled to the brim with wonderful characters, beautiful scenery and just an adorable plot that will have you wishing for snow or a trip to Norway. Frankie is one of those characters that you instantly adore and can’t wait to find out more about. She has had enough of being pushed around by others and decides it’s time to live her own life, starting with leaving a man she doesn’t love. Freya has been waiting for Frankie to find her for so long. She had her reasons for leaving when Frankie was just a baby. I’d gathered the person responsible for the reasons from quite early on – Well there has to be one character to dislike in the book. The story just flowed effortlessly and I found myself eagerly turning the pages wanting to know more and getting sucked further and further into the plot. Norway sounds delightful and I can’t wait to visit one day. This is a must read to get you in the mood for the colder, winter weather heading our way, which for once I am looking forward to it.